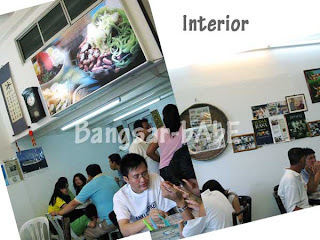 rif and I went to Penang for an eating spree before I went for the MMU pageant. 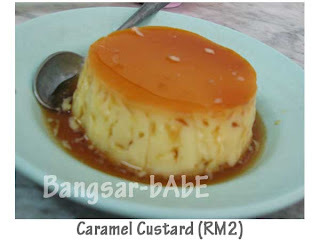 We left KL around 8am and stopped by Ipoh for the famous Ipoh Hor Fun and caramel custard at Thean Chun (House of Mirrors). Once we were fed and happy, we continued our journey up north in search for good food. Reached the Pearl of the Orient at around 2pm. 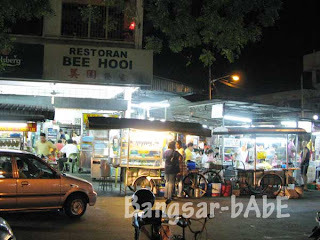 First, we had Char Kway Teow at Joo Hooi before going for the Teochew cendol. 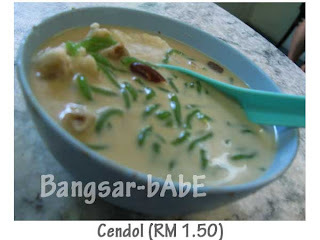 You can bring the cendol into the coffeeshop but they will charge you an extra RM 0.30 for it. 2 pm: Char Kway Teow & Loh Bak @ Joo Hooi We ordered two plates of Char Kway Teow – large (RM4) which took more than 30 minutes to arrive. 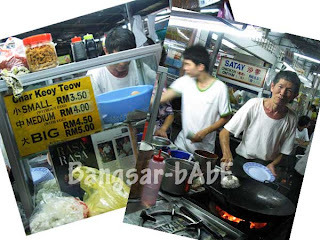 I got a bit fidgety (yes…I fidget when I’m hungry) so rif told me to go order some loh bak to munch on first. 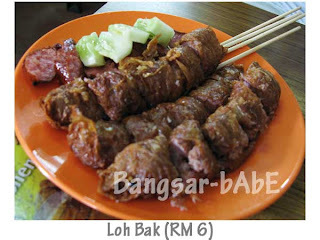 The loh bak was quite decent. I stuck to my favourite pork sausages which tasted nicer when eaten with the sweet sauce and chili provided. 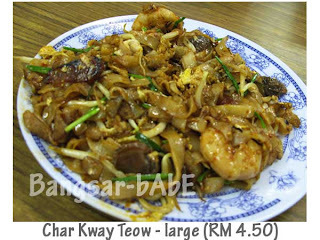 The much awaited Char Kway Teow came after 2 reminders. It tasted AWFUL. Tasteless, oily and not evenly distributed, it was a disgrace. A pity, as it used to taste quite good. 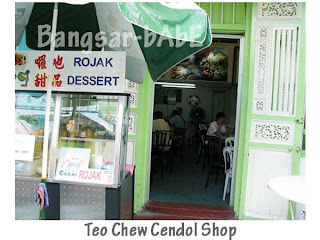 3 pm: Teochew Cendol The cendol guy has a shoplot just down the road from where his cendol stall is. 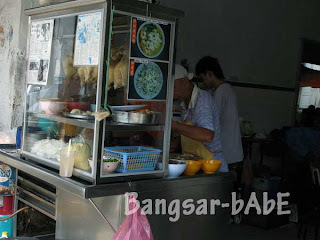 You can sit comfortably in his cooling shop and place your order for a bowl of creamy, thick cendol. Shiokness I-tell-you! 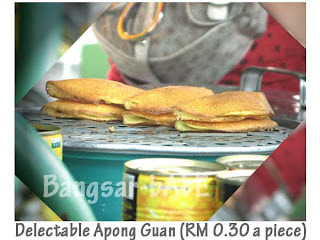 3.30pm: Apong Guan After lunch, we went to get some Apong Guan in front of Union Primary School, Burmah Road. Uncle Guan told me that I had to wait for 40 minutes for the pancakes. o_0 There were quite a lot of people waiting for their share of pancake goodness. Initially, I ordered 7 pieces but after waiting for 30 minutes, I thought “What the heck! I only get to eat this once or twice a year…”. So I told uncle that I’ll be taking 30 pieces (RM0.30 a piece). 😛 The pancakes were nice and fluffy. And the banana slices inside were sweet and slightly caramelized. 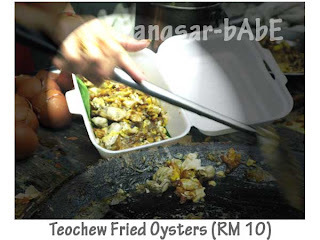 Wahhhh….I love Penang!! 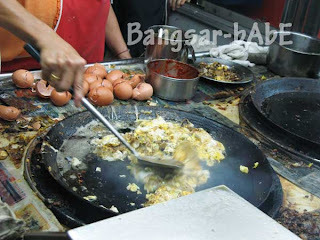 After dinner, we went to Batu Ferringhi to walk around a bit. I used to like going there, but not anymore – too crowded. 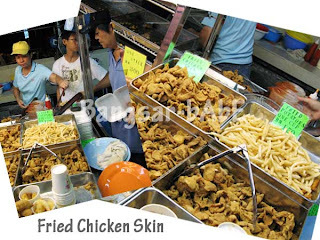 We went to Gurney Drive after that for FRIED CHICKEN SKIN!! Ordered 3 cups of super crunchy chicken skin and 1 cup of fries to go. 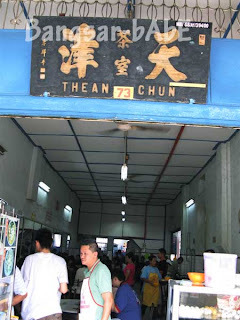 rif told me that the Oh Chien at Gurney Drive was quite good too. But it was also closed. 🙁 So I settled for another Oh Chien stall nearby. Ta pau-ed the Oh Chien back to the hotel too. All for supper at the hotel. Muahahaha. BURP!! YES the char kway teow at Joo Hooi was HORRIBLE indeed. i will give it one more try the next time around before writing it off completely!! 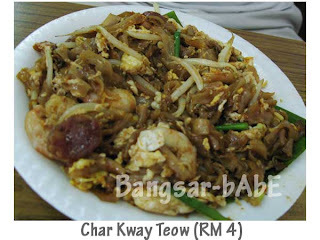 i said that the char kway teow at Gurney Drive was not bad not the Oh Chien. 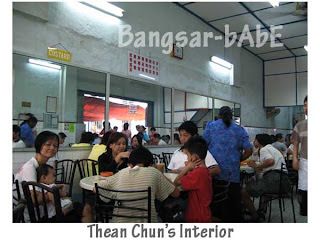 U said Oh Chien also la…remember the one we ate on the 2nd day? 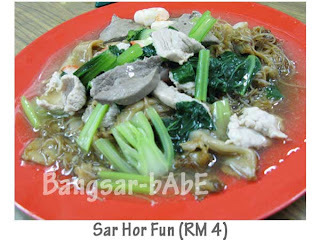 Yummy Yummy, missed Penang food. Must go back this coming holidays! wahhhh…thats amazing how much u eat.. i think i would have a hard time eating all that! 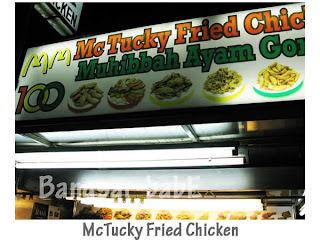 LOL @ McTucky fried chicken. At least they really fry the chicken.